What's it going to be? 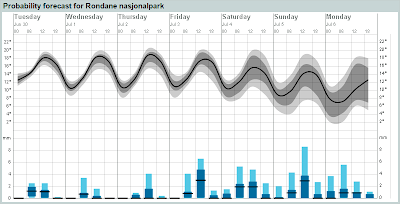 The back end of the Norwegian Meteorological Service long term forecast now overlaps our date of departure for Rondane. I suppose this thing is about as reliable as network rail but I can't help but take a peek every day. It's been looking fine of late. Highs of eighteen degrees in the day and frost free nights around the 1000m contour. Little by way of wind and rain. The kind of weather most UK born hillwalkers only experience in their dreams. It seems the faerie folk know I'm coming though. Not the cutsie fairies of J.M. Barrie's invention but the original, mean fairies of Scottish folklore (the ones that really do exist and wash their clothes in Loch-an-Uaine). I think they skyped with their Norwegian cousins who've been dancing naked and beating the weather drums ever since. Whatever they did it might well have worked. It looks like the temperature is describing a downward trend in the run up towards July. Still looks like the rain will stay away but, the line being busy, perhaps the Borrowdale Boggarts haven't got through to Norway yet? Now we're getting somewhere. I've added webbing and a shoulder strap. 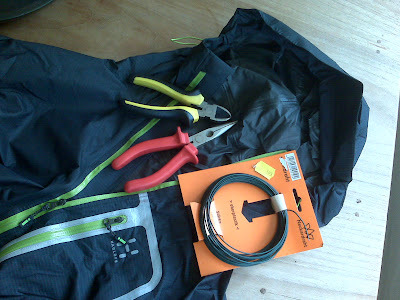 First I created a cradle of webbing to contain the dry bag. 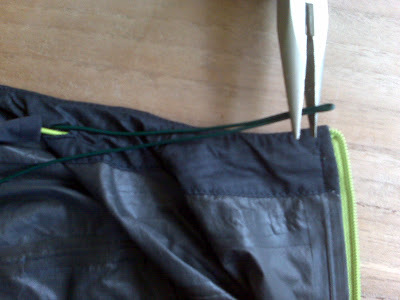 Tacking a length of webbing along the length of the grab-strap at the base of the dry bag . Then running a second length of webbing horizontally around the bag and tacking this to the first length of webbing such that the ends of the first length run vertically up each side. The bag sits loose in the cradle only being attached by the stitches through the grab strap. I sped things up by raiding and old camera bag for the removable shoulder strap. This strap was attached to the bag using side release webbing buckles. I stitched female halves of two buckles to the ends of the webbing running up the bag sides. The male halves attached to the borrowed strap clip in neatly converting the whole to a shoulder bag. Hopefully, if the text doesn't make sense, the two photos will help. It's not finished. Not at all. I've used bit's and pieces of webbing and clips I had to hand together with the shoulder strap from another camera bag. All of the strap components are heavier than required and in time will almost certainly be replaced. The shoulder strap in particular is over engineered. The webbing is wider than needed and it is adjustable in the length. Straps on commercial products, sold to customers of many sizes and with different tastes, need to be adjustable. My strap does not. At least it won't be when I know how long the strap needs to be. Side realease buckles are also probably overkill. Certainly so if, in practice, it turns out that the strap stays permanantly on the bag. Still, the bag's now finished enough to put into service. Using it will provide ammunition for improvements in the future. Only by living with it can I get a real feeling for what should stay and what must go. I've been confident in the construction from the off but was never sure about how it would work in practice. Ease of access to the camera through the roll top being the biggest concern. It had a first run out today, on a walk with the kids in the dunes. Hardly a multi-day backpacking trip, but enough to give me a good first impression. It's fine. 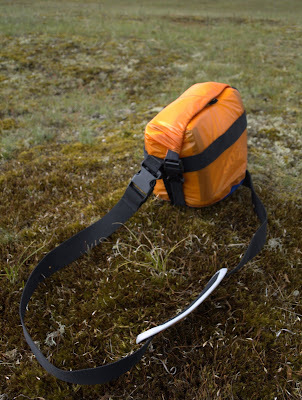 I carried it strung diagonally over my shoulder with the bag against my left side and a 25l day pack on my back. It carries well and I can access the camera without a problem. In that respect its not as convenient as the Lowepro toploader on which the lid can be thrown open and left open. The roll top won't stay open of it's own accord. However, unlike the Lowepro, it provides waterproof protection for my camera. Furthermore, even with the heavy strap, it's just 160g compared to the 330g of my old Lowepro, topload zoom. The trade off in accessibility is worthwhile on both counts. 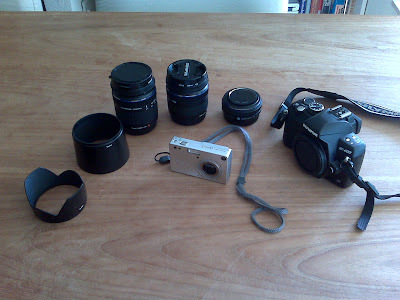 This will be my camera bag for the upcoming trip to Rondane. Another box hit the doormat. This time courtesy of Ultralight Outdoor gear. Amazing! Ordered Sunday from the comfort of my Armchair and opened with a childish grin Wednesday Evening! They got the stuff to me quicker that I could have picked it up from my nearest high street shop (not that I could get this stuff from my high street shop). Golite Jam 2: I've been hovering over this pack for a year or so now. I'm really happy with my Granite Gear Vapour Trail which is the most comfortable pack I've ever used and weighs only 1kg. However, I miss pockets and the roll-closure on the vapour trail is annoying (there's masses of excess material and the over-long closure makes for difficult access and difficult packing from empty). I got around the pocket thing by hanging small dry bags from hooks inside the top of the main sack in order to create a location for all those things you need to hand, but nevertheless getting at the stuff you need to grab in a hurry was a bind. It always looked like the Jam 2 was better thought out in that respect. 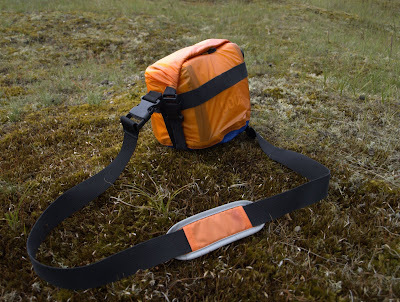 With pockets on the hip belt there's loads of space for all those bits and pieces and the large external pocket looks ideal for wet gear, tarps, coats, over-trousers and the like. So why did I wait? Well I wasn't sure about ditching the frame and I'd never seen one in the flesh. I was also waiting for PTC to get of his backside and review his before I took the plunge. What made me jump? Well, since buying the Vapour Trail my kit has changed out of all recognition. My base weight is now light enough, I think, to dispense with the frame (the saving of 250g on the sack alone compounds the advantage). Furthermore, with a few recent purchase such as the NeoAir, my gear has become far less bulky and I think a slightly smaller pack is sufficient. The Vapour Trail is officially 55l but I think its nearer 60l. 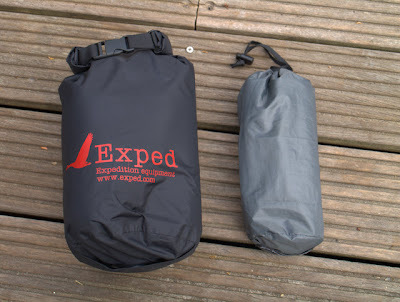 The Jam 2 is a slinky 51l but compromises better and has a nice split between the main sack and the front pocket which should make for neater packing when the packs getting empty towards the back end of the trip. First impressions are good. I always had an idea that the Jam 2 would feel flimsy but its actually of a pretty rugged construction. I've packed it up already and I like how my gear sits in the space. I need to practice at getting the back shape right though (the downside of frameless packs!) 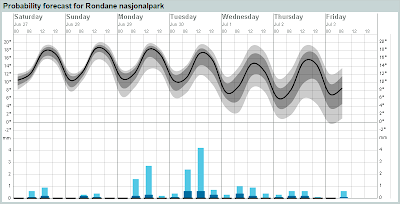 I'll be sticking my neck right out and using a lot of new gear in Rondane. The Jam 2 will be one of the newbies coming along for the ride. I might even get a review out before PTC for once? Optimus Stella +: This is a more than strange purchase for me. It sticks out like a sore thumb on my gear list. Firstly, I've been using meths stoves, and only meths stoves, since I was 15 years old. Secondly it weighs a whopping 260g excluding the wind shield. Why buy a heavy gas burner then? Well, it seems to be the best option for the group trip to Norway. We'll be flying so won't be allowed to pack fuel in. Normally we'd use Willem-Maartens MSR Whisper light multi-fuel stove but we can't get the right fuel at the stepping off point. Gas canisters are available though. As is meths. 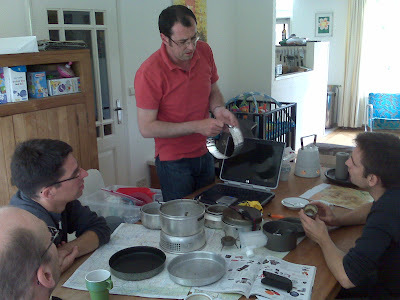 We need a stove stable enough to accommodate a big pan (2.5l) in order to prepare group meals. Meths is out, my Trangias are too heavy and fuel weights would be prohibitive for the duration and meal volumes concerned. Smaller meths burners are strictly small pan affairs (although I wonder how big a pan the White Box Duo can handle?). Gas is in and there are only two suitable remote canister stoves in my opinion: the MSR windpro and the Optimus Stella +. The former is lighter but the latter looks like a better design to me. Besides, the latter was available from Ultralight Outdoor Gear and could be shipped in the same box (one lot of shipping fees!). Light is right! Light is right, right? I’m a fairly recent convert to lightweight backpacking. In the late 90’s I watched from a safe distance as companies like Golite first crossed the pond. I read all about the lightweight movement and then read some more. The Ray-Way. Lightweight. Ultralight. Super-ultralight. They all caught my eye but, and this is the thing, it all sounded so different from what I’d been taught or had learned along the way, that I couldn’t switch off the sceptic voices in my head. Single skin tents and tarps where Atlantic depressions rule and Westerlies blow? Rucksacks without frames? Jeepers. That’s all just a variation on cutting the handle off a toothbrush right? Yes it saves weight but isn’t it just getting fixated on weight and forgetting function? 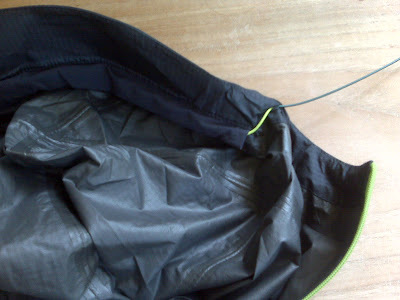 Weren’t inner tents and rucksack frames developed with a purpose in mind? I can remember almost to the minute when I first decided to make a concerted effort to lighten the load. It was June 2004. 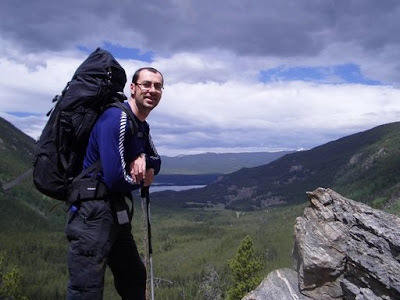 I was stood, posing for a photo, on a high vantage point on the East Inlet Trail in the Rocky Mountain National Park, Colorado, with the deep, pine filled east inlet valley as a backdrop. Breathtaking (I got there before the pine beetle). 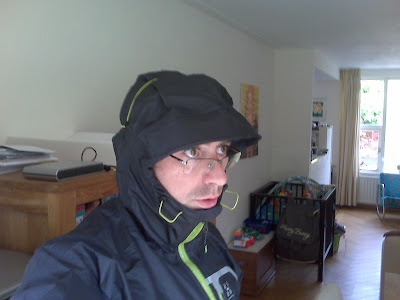 The sun was shining and I was stripped down to my baselayer. My best boots were on my feet and my beloved, bomb-proof, Macpac was on my back. I’d just spent two nights at a lovely “backcountry campsite” (the evocatively named “cats lair”) with my wife (then girlfriend) for company. We’d eaten well for those two nights. Fresh food, lovingly prepared, on my all-time favourite piec e of kit, my Trangia 25 (bought in 1985 and still going strong). My favourite two man tent (Exped Orion) was packed. It had been used in anger as well! Yes it was 25°C in the afternoon sun but the nights had been cold. We’d even woken up one morning to find the tent decorated with a blanket of snow. In short, I was doing what I liked to do best and the trip had all the right ingredients. Look at the resulting photo and you could be forgiven for thinking I was having fun. However all is not as it seems. The events of the proceeding three days were running through my head and I caught myself in a strange chain of though. 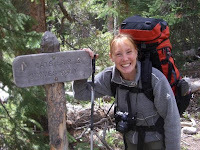 The thought that, although things hadn’t gone quite to plan, although we’d stopped short of the tree line and hadn’t made the continental divide, that it wasn’t down to a lack of will but rather all down to my gear. The thought that, yes we’d turned back some way short of where we’d intended to but we had covered quite a bit of the trail and had done so in spite of all the gear I’d carried. It was the words “in spite of” that got under my skin. Surely, my gear, my wonderful gear, each purchase so carefully researched, was on my back to enable me to get to these places? Apparently now it was getting in the way. Now I should stress that there were mitigating circumstances. Part of the reason why I’d carried too much was down to sloppy preparation. The decision to make the trip was last minute. I had to attended a conference in Winter Park and the Rocky mountain National Park being just around the corner presented an opportunity too good to miss. Preparations for the conference, together with preparations for an extra week and a half of car touring in Colorado, got in the way of thorough preparation for the hike. I hadn’t researched the route I hadn’t checked the weather patterns and, at that time, I wasn’t certain about etiquette in bear country. As a result, before leaving home, I’d packed a bunch of stuff “just in case”, bought a bunch of stuff in haste and omitted to pack other stuff I needed. The just in case stuff stayed in the pack adding to the load, much of the stuff I’d bought in haste I didn’t use, and, perversely, the stuff I’d not got to hand also contributed to my pack weight: I had no water filter and on reading all the hype about Giardia at the park offices decided to pack in litres of water rather than go back to town an buy a filter. Add to that kit bought over many years for many purposes fro canoe camping to cycle touring and the result is too many kilograms by far. Whatever the reason, the outcome was a severe case of knee trouble. This wasn’t the first time. It had happed before. But now it was bad. Already, in the first few kilometres of up, climbing out of the valley en route to the cats lair I was in difficulty. My right knee was locking up and stepping up anything more than a few centimetres was painful. Still I’m from the north of England where we know how maintain a positive mental attitude in the face of things grim. I just kept on going. We made the intended pitch but it was clear that the second day would have to be a light one. It was. We walked without packs to the end of the prepared trail and turned back. The walk out on day three was excruciating. Stepping down was twice as bad as stepping up and consequently I made every step down on my left leg. It wasn’t long before my left knee joined the sick list. So back to the photo moment. Just seconds before I’d been swearing under my breath. Just seconds after I would start doing so again, only this time I wasn’t complaining about my misfortune but about my stupidity. From now on I would do things differently! I started by reading all that weird stuff I’d read again but, although this time I found it rang truer, I still wasn’t fully onboard. There remained too many what ifs and buts. I still couldn’t quite develop the right mind set. It was a TGO article by Andrew Terril that finally pushed the penny into freefall. Andrew described a minimalist Bivvy trip, also in the Rockies, and there was something about his description and underlying attitude that clicked with me. He brought to my attention the beauty of travelling light, fast and unencumbered, and of going against convention. Climb in the evening and walk out in the morning for a change. Why not? He also helped me see past the numbers. It’s how you function under the load rather than its absolute magnitude that counts. If your load is light enough that it doesn’t get in the way then the number is irrelevant. Andrews words made it all make sense for me. Even so, the change was much more gradual than I’d imagined. Another trip (see the write up for Cairngorms 2005) came and went and although that went much better I still felt my load was getting in the way. My knees worked just fine but I was having difficulty moving over technical ground and it was spoiling the fun. Holding me in check. Over the last three summers my kit list has changed radically as I try to find a set up that enables me to do what I want. I now know where I need to be. The mountains look very different when your standing under a load of ten kilograms or less. Last year, in Switzerland, I’d got it just right! Each trip is different however and I’m now wrestling with my kit list for Rondane. I wonder If I can get it right this time?